My son Hugh is five years old and in his reception year at a school not far from our house. He’s a really happy little boy with a head full of crazy hair that points in every direction except the way you want it to. He laughs a lot, particularly at fart noises, and he loves music and singing. He’s not much of a morning person mind you and he gets ever so grumpy when he’s tired. 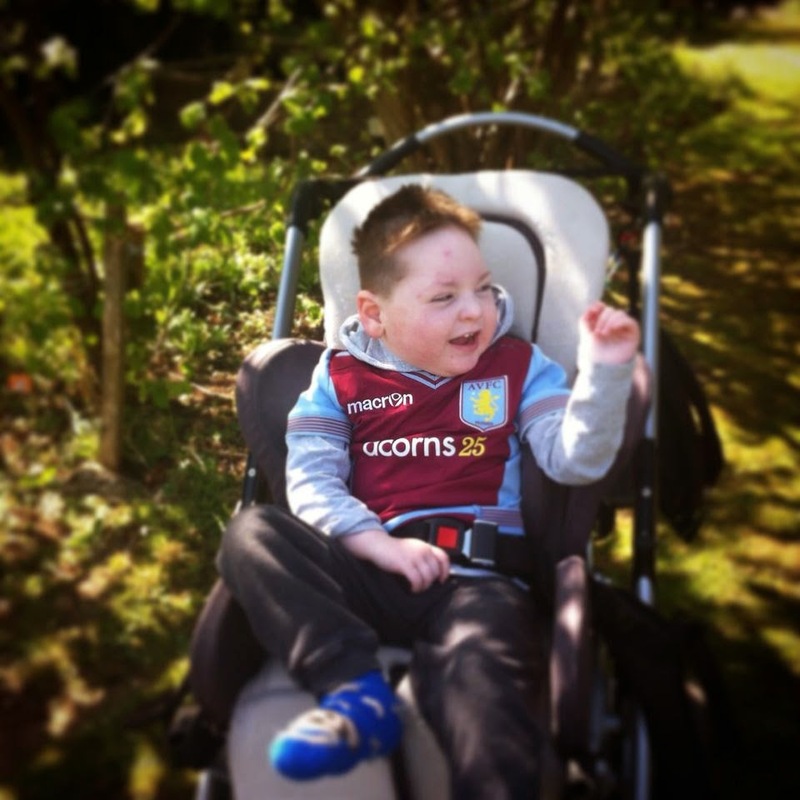 He’s a little brother to Sean, aged 6, and he brings joy and laughter into our lives every single day. “Just like a typical, little boy”, you might say. And he is! Except he can’t walk. Or talk. Or even sit yet. He’s fed through a tube that goes directly into his stomach. And he’s blind. And sometimes he’s stops breathing for so long that we have to breathe for him. To the outside world, he is profoundly disabled. To us, he’s just our little Hugh. You might be wondering ‘what’s wrong with him?’ or rather ‘what’s his diagnosis?’ which is a much kinder way of asking the same question. And the truth is, we don’t know. No one knows. Imagine that! All the tests, all the doctors, all the specialists and all the expertise that the NHS has to offer and still we’re none-the-wiser. Apart from the frustration of not knowing and not being able to give a simple answer when people ask about Hugh, not having a diagnosis comes with its own unique set of challenges. Without a diagnosis, sometimes the problems aren’t taken as seriously - from the patronising doctor who implied it was all in my neurotic mind, to the kindly relative who assumed he’d grow out of it and catch up. 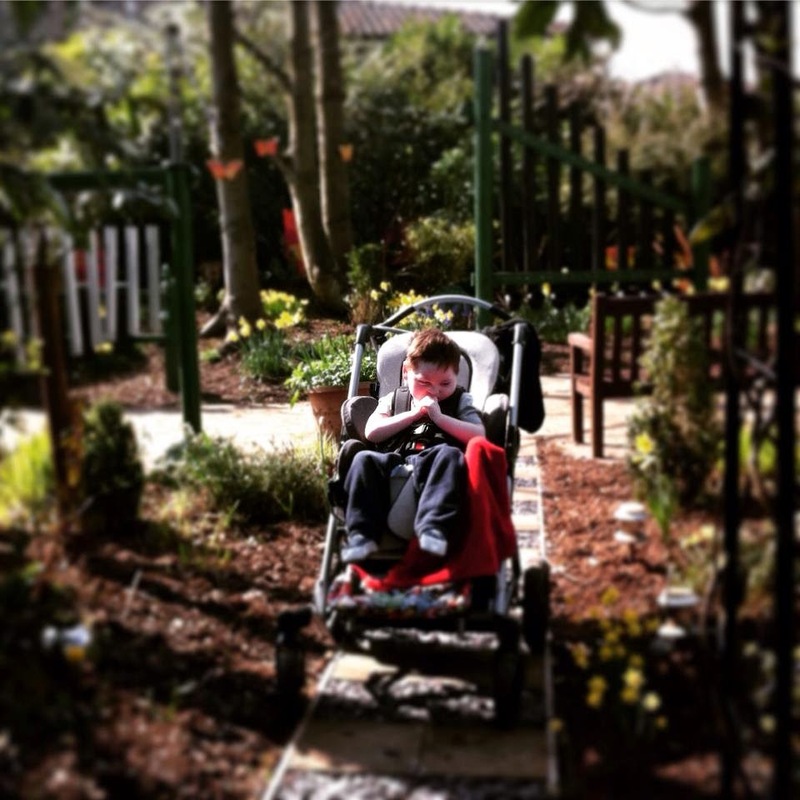 Professional support is often allocated after diagnosis; Hugh waited much much longer for physiotherapy, early teaching support and community nursing care than a child very similar to him who had a confirmed diagnosis at birth. Even access to equipment and adaptations to make his life easier were delayed through the lack of diagnosis; the occupational therapy team discharged him and said they’d reassess him for ramped access when he was older as without a diagnosis there was no guarantee he wouldn’t learn to walk. Sadly, I’m not alone in finding this and many parents of undiagnosed children find they have to fight to get taken seriously. 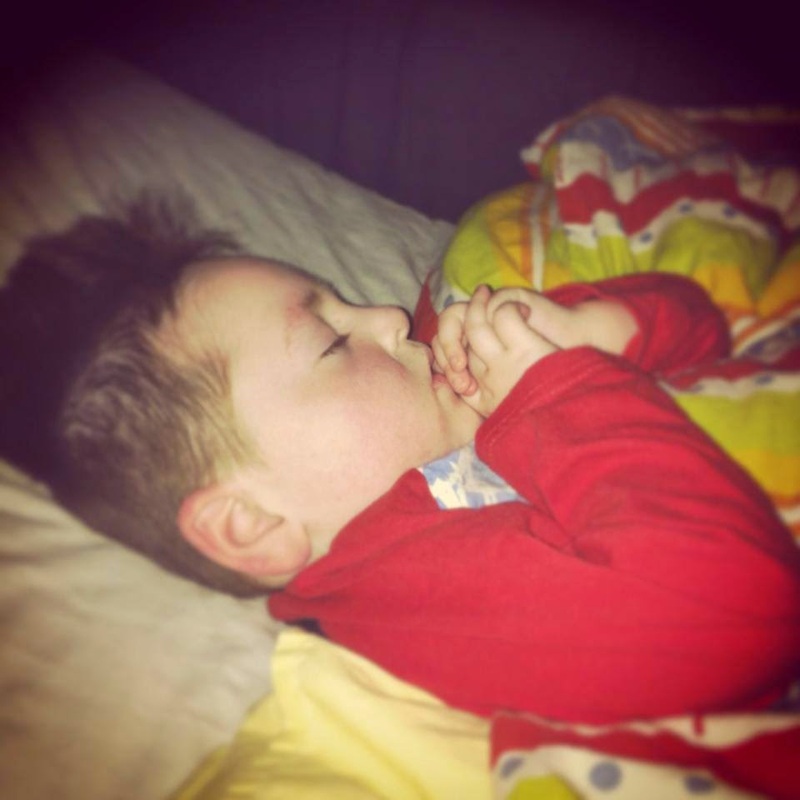 Hugh requires 24 hour care and regularly stops breathing, yet despite the fact that I was resuscitating him nearly 30 times a month and was completely at breaking point, we had to beg for help. Without a diagnosis there was no prognosis and so we didn’t fit neatly into any support package. Support and understanding shouldn’t be restricted to those with a diagnosis. Furthermore access to many parent support groups is based on the diagnosis attached to your child, so at a time when you’re already struggling physically and emotionally and feeling isolated and alone, you’re further excluded from accessing support by not having the right ‘label’. It is ridiculous that when as many as 50% of all children with learning disabilities* do not have a definitive diagnosis for their difficulties that not having a label still remains such a barrier. This needs to change and awareness raising days like today’s Undiagnosed Children’s Day is one way of doing this. In the meantime, we continue our search for the ever elusive diagnosis. A diagnosis wouldn’t change Hugh, but it might help us understand him better. It might enable us to find treatment to control the rare and life threatening form of epilepsy that stops him breathing so often. It might give us clues as to how best to support his physical and cognitive development. It might give us a glimpse into the future and help us understand the past. Maybe we’d find others with the same diagnosis, people further along the path that could give us guidance, encouragement and hope. A diagnosis would provide answers as to how this happened to Hugh. Is it a faulty gene he’s inherited from us and if so could it happen again? And that is why we, and so many families like ours, continue to search for a diagnosis. That is why I have traipsed from one end of the city to the other and beyond, attending appointment after appointment. Over twenty different doctors and specialists, spread across six different hospitals, all with forms to fill in, questions to answer and tests to perform. That is why I have spent hour after hour on the internet, scouring medical journals and trawling through search engines, looking for clues. That is why I’ve woken in the dead of night, heart pounding, panic rising in my chest, desperately trying to silence the screams of fear in my head. Fear of the known and the unknown. Fear of what might be to come. That is why just last week I cupped his head in my hands and sang ‘row, row, row your boat’ for 20 minutes while two nurses pinned him down and stuck a needle in his arm repeatedly to try and extract 7 millilitres of blood from his tiny veins. That is why I’ve handed him limp and unconscious to strangers so they can scan his brain under a general anaesthetic. I want to know the reason behind his difficulties. I want to know what caused this. I just need to know why. Because if I know why, then maybe I can help him. Because if I know why, then maybe I can protect him from the worse things that might be to come. Because if I know why, then maybe I can prepare myself for the future. Because if I know why, then maybe I’ll know whether Sean or his children or any future children could be affected. Because if I know why, then maybe I’ll know it’s not my fault.